yet realistic expectations for our athletes. with unparalleled attention to detail. durata [duh-rah-tuh] – noun. Italian translation meaning duration, length of time or endurance. Professional, performance, or competitive. We'll tailor a plan specifically for your needs and your sport. Paramount or Primo. Single or Multi-sport. Let us develop a plan specifically for your needs. Ride faster, longer. We'll measure your perfect individual fit for optimal power, comfort, and efficiency. Many riders struggle to find the optimal position on their bike – making their body work harder and burning unnecessary fuel. 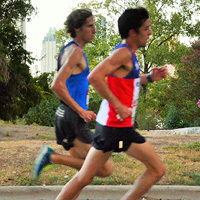 The Austin Running Academy will bring professional coaching and sports science expertise to Central Texas youth runners seeking to enhance their fitness. Visit our store and join today! Practical knowledge meets data driven results. 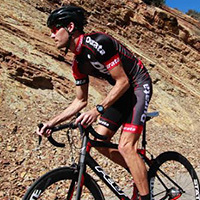 We specialize with competitive cyclists to establish goals, multi-season progression, and short term milestones. David, Derick, and Patrick work with a wide range of ability levels and excel with cyclists that have a constant need to monitor and improve cycling performance. If it’s on two wheels and you’re the motor we deliver results! 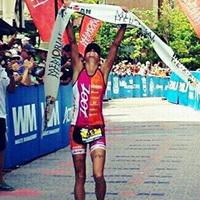 Durata Training has developed athletes at every level of triathlon from Ironman and Half Ironman (70.3) professional champions to the athlete just getting started with the sport. Our knowledge, experience, and expertise will ensure that you arrive at your start line 100% prepared and confident that you’ll perform to your potential. We understand what it takes to develop a runner to their potential. With a keen focus on the entire running picture; fitness, injury mitigation, structural strength, nutrition and mental focus are all fostered based on each individuals needs resulting in truly remarkable performances.